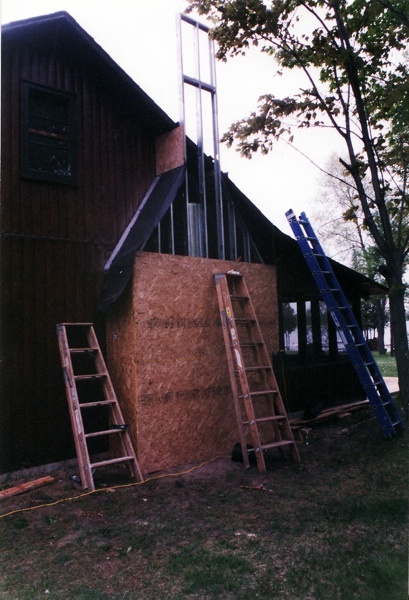 as an auxiliary heating source. 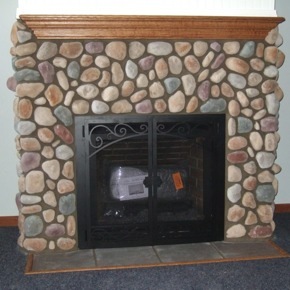 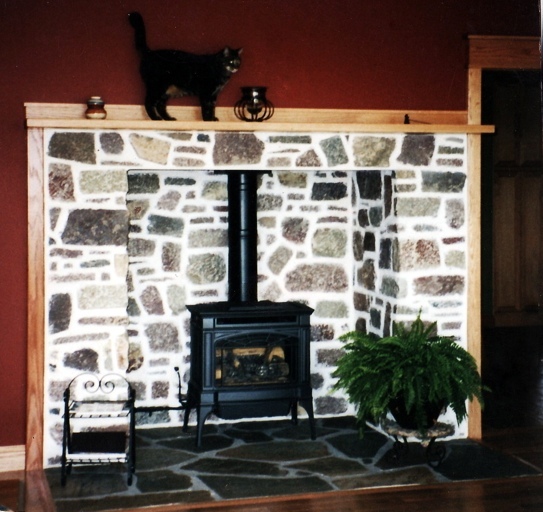 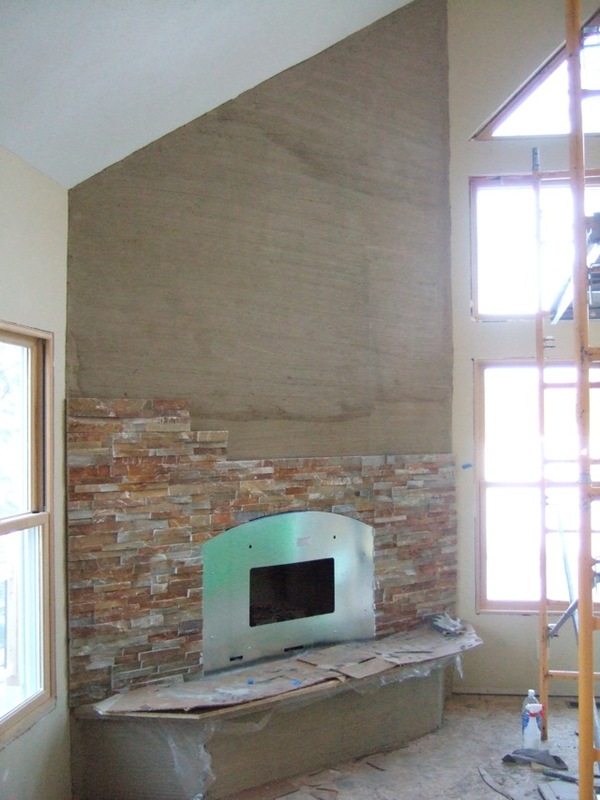 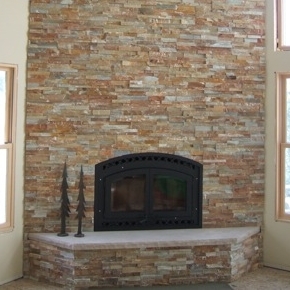 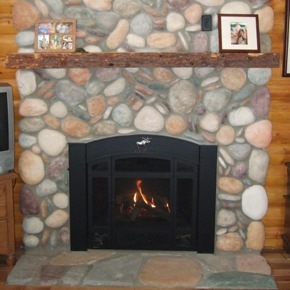 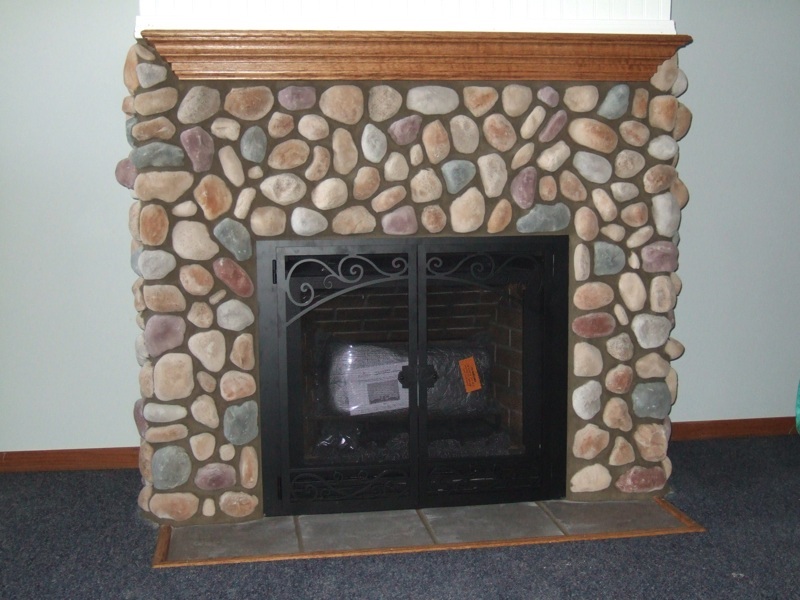 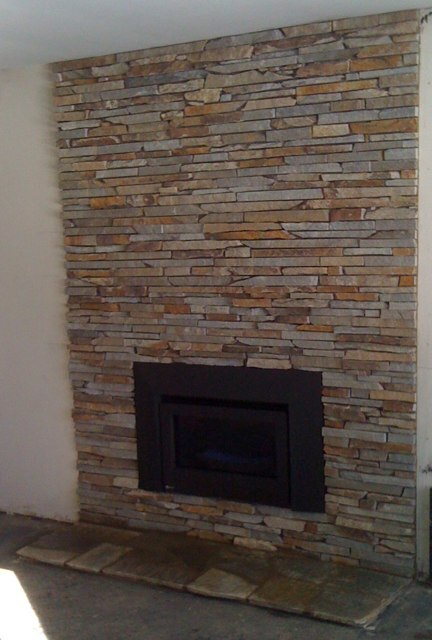 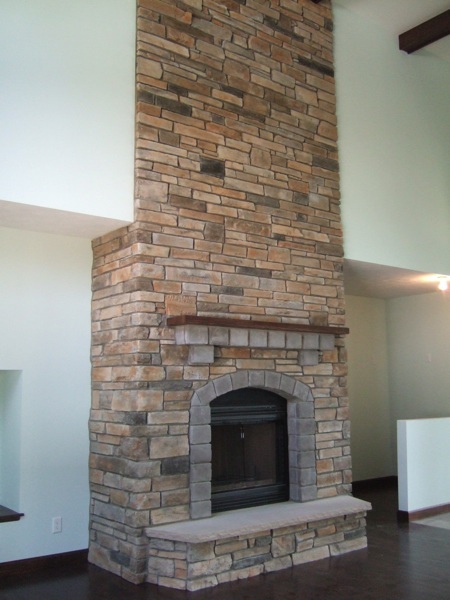 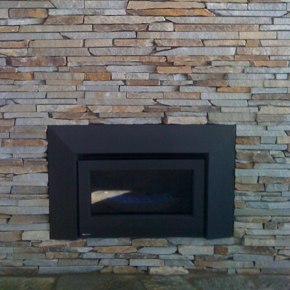 The fireplace doors, fireplace mantel, hearth and cultured stone complete the custom gas fireplace installation. 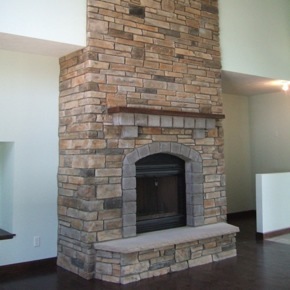 built to accommodate an interior fireplace. 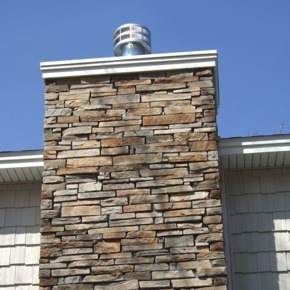 The customer's request for large, white mortar joints was no problem. 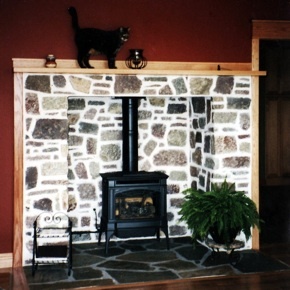 The cat's request for a new hangout was also worked in. 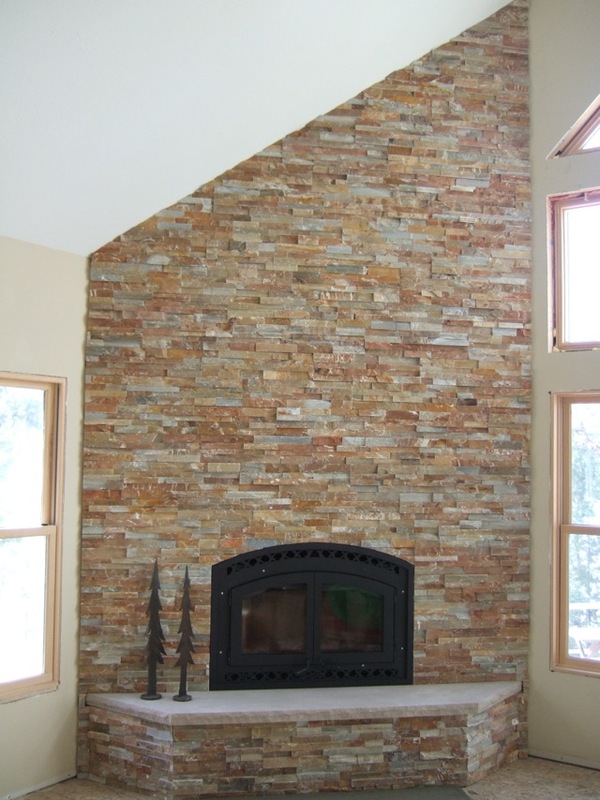 Also featured: a new veneer-like stone product. 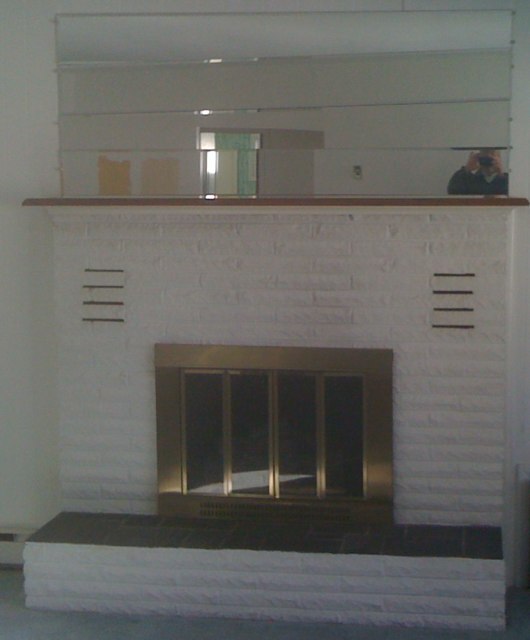 This was an older wood-burning fireplace with a painted brick surround and the client wanted a gas insert with contemporary styling. 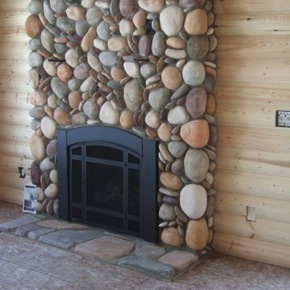 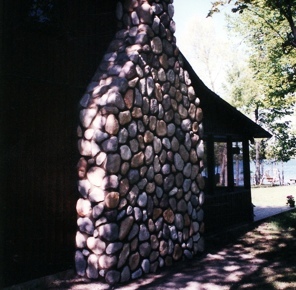 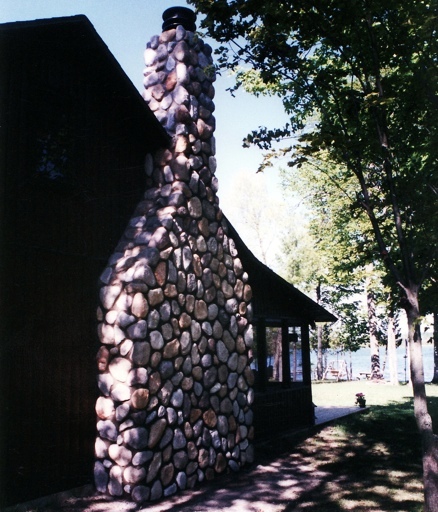 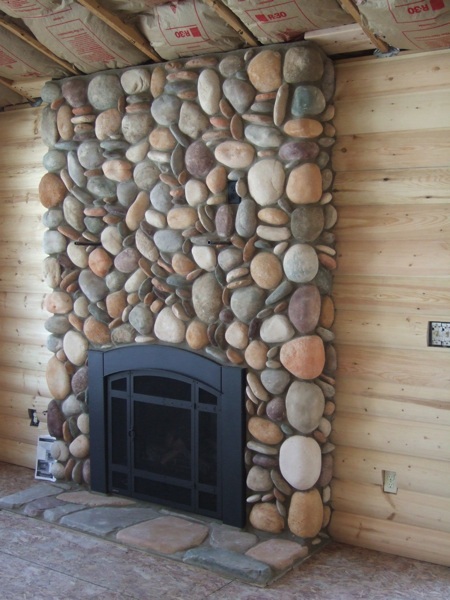 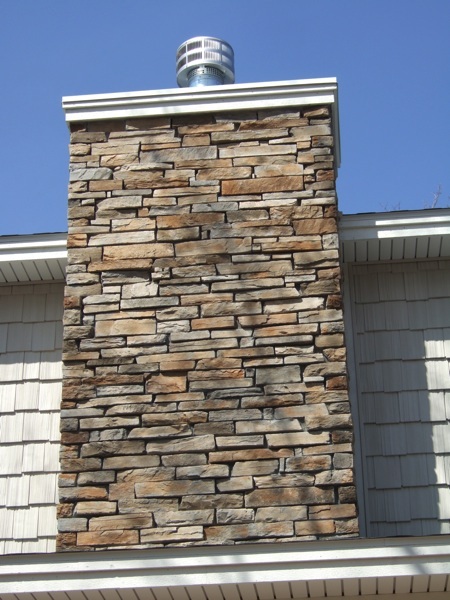 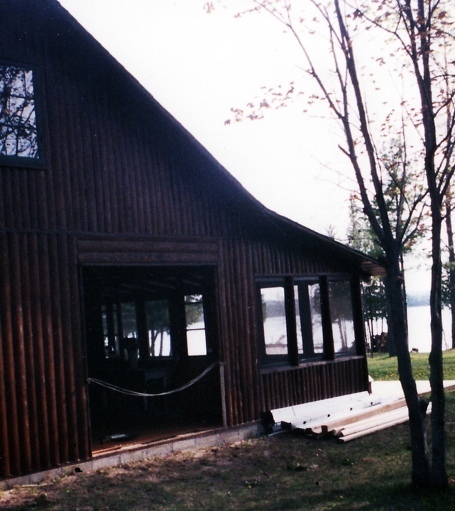 The stone chosen was Virginia ledge stone and installed mortar-less. 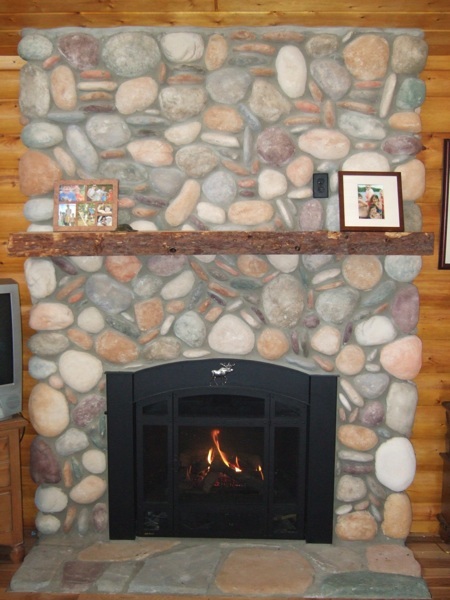 We also put the same color stone in the kitchen area.